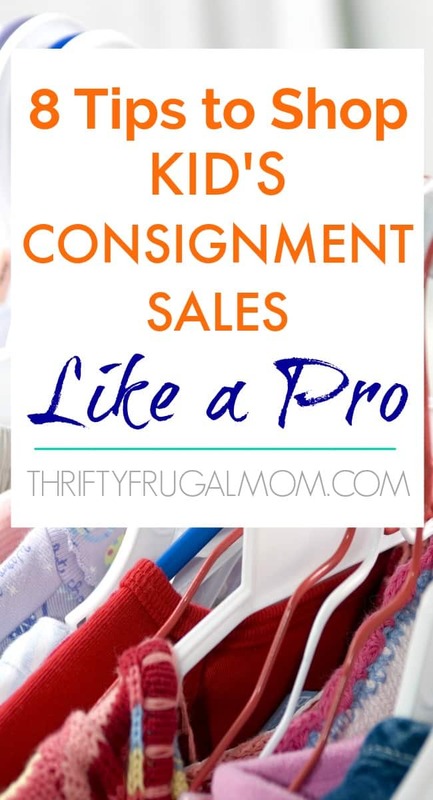 My best tips to help you save money and shop strategically at your next kid’s consignment sale! No need to feel overwhelmed. With a little planning, you can get the best deals without a lot of hassle! This is a sponsored post written by me on behalf of Just Between Friends Lower Bucks. All opinions are my own. My son who is now 9, was just a little guy when I shopped my first consignment sale years ago. I was so excited, because I love a good deal, but I remember so well how quickly my excitement turned to overwhelm! And while I did find some good buys, I ended up leaving that sale discouraged and uncertain that I would ever shop a consignment sale again! I had totally underestimated just how much stuff would be at a consignment sale. I mean there are literally racks upon racks of clothing. And then, of course, you have the tables full of shoes, toys, books, baby gear and lots more! Combine that will many other moms and grandparents out trying to find a good deal too and you have a busy, full sales floor! So even though the consignment sale itself was well organized and the items were nicely categorized by sizes etc., the combination of everything was just overwhelming to me and I felt unsure how to shop the sale well and make the most of it. Thankfully, I changed my mind and decided to give consignment sales another try! But, that first time taught me some important things and since then, I’ve always shopped kid’s consignment sales with some preparation and a plan of action. And those two things have made an incredible difference! Before I shop, I always look through my kid’s clothes and figure out exactly what they need and then I make a detailed list for each child. For example, my list for my son will note that he needs 3 pairs of good jeans, 2 pairs of jeans for playing at home, 3 short sleeve t-shirts, 1 Sunday dress shirt for the summer and one for fall/winter and 1 pair of dress pants. Pro Tip: It’s good to also think about what clothes your kids might need for the next season as well as upcoming special occasions/holidays. And don’t forget all the toys, games and gear! Check out this checklist of items that will help you save money as you prep for summer! The same size in different brands can vary quite a bit and there’s nothing more frustrating than buying a piece of clothing that you love, only to realize that it doesn’t fit- and of course with a consignment sale, you can’t return it! The easy fix for this is to simply get specific measurements of each child (arm, inseam, length) and jot them down on your shopping list. A friend also recently suggested tracing around your child’s foot and taking that tracing along to make sure shoes will fit well too! Trust me, sorting through racks of clothing in a crowded space with lots of other people is just a million times easier if you don’t have little kids to worry about too! This was something I hadn’t thought about the first time I went, but it sure makes things easier if you take along something to put your purchases in as you shop. Many people like to take a laundry basket (you can even attach a leash to make dragging it around easier) or a large reusable tote. I’ve even seen people use wagons or empty strollers as their shopping carts. Basically, anything will work…you just want to go prepared! Pro Tip: It seems like there is typically way more girl’s clothing than boys, so if you are shopping for both, it might be good to start looking for your boy’s stuff first. Also, big play items and toys like Legos usually sell quickly too, so if you are wanting those, keep that in mind. Like I mentioned earlier, the huge selection of clothing can be so overwhelming! I’ve found that it works best to just collect anything that I think I might want to buy and then sort through it all later. This helps me shop more efficiently and just make wiser shopping decisions all around! When I’m finished looking for clothes and other items, I find a quiet corner and sort everything. I like to first put everything in piles by size. Then I work through the stacks and make sure that each item will fit, using the measurements that I took as I talked about in #2 above. Once I have that taken care of, I go through each pile again and divide them into a “Like” stack and a “Love” stack and then refer to my shopping list and figure out which items to keep and which to leave for someone else. Pro Tip: Before keeping an item to buy, look it over very thoroughly. This is used clothing and equipment, which means there may be things that you don’t notice at first glance. Does the zipper work? Are all the buttons there? Are there any holes, tears or stains? 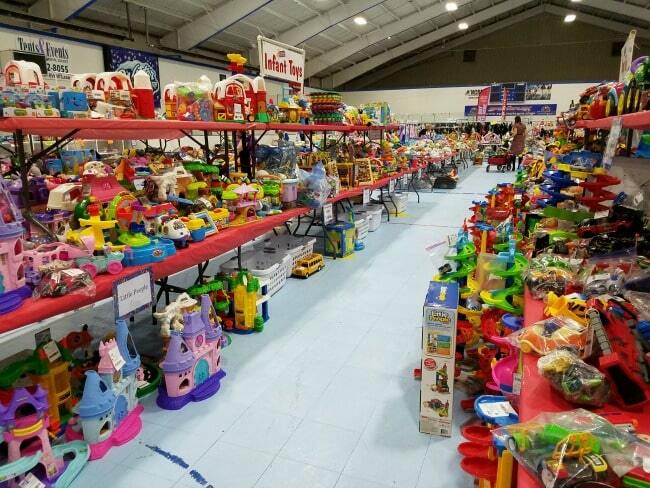 The Just Between Friends Lower Bucks Consignment Sale is happening October 12-14, 2018 at the Sportsplex (1331 O’Reilly Drive, Feasterville, in Building #1, the building on the right before you get to the circle). 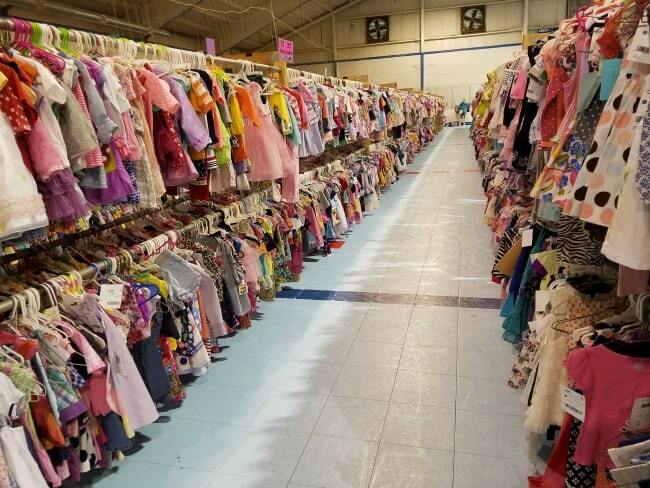 What are your favorite tips to find great deals at consignment sales? I’d love to have you share them! I have bought and sold at consignment sales. I like them, but they are often very high priced in my area (for items in not that great condition). Ah, that's a bummer that the consignment sales in your area are high priced. Kind of feels like it defeats the whole point of buying second hand, right? I have to admit, it's a little overwhelming for me to shop these types of sales and shops. I love your tips though. Might have to try them out! I hear you! It's not that I never still feel overwhelmed at all. But having a plan of action has definitely helped me a lot. I can follow it and then by the time I'm totally overwhelmed with all the people and the endless rows of stuff, I at least was able to get some of the main things that I needed and it still feels like a big success for me! This is perfect timing! 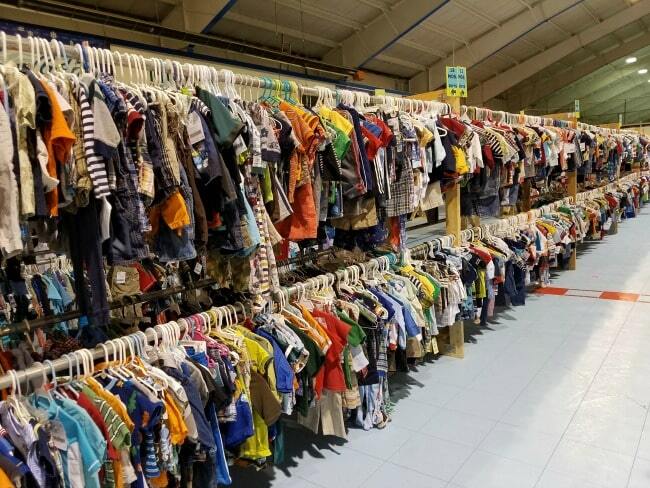 I just participated and shopped in my first kids consignment sale this week. Great tips! I made a list of the what I need to get for the first time today because of this post. I usually go in blind, trying to remember what my kids need or what I want to get for them and spend more than I want to. This year, I've made a list with a price point compared to what I can get brand new clothes on sale for. My local sale is usually junk. A new owner took over a few years ago and she doesn't adhere to the strict no stains/holes/worn out clothing rules the previous owner enforced and it shows in the selection these days so I'm very particular over what I buy there. I'm glad I came across this post so I have a game plan for next weeks sale. So glad that it was helpful, Christina! I think you'll find that your prep of making a list will pay off big! And so smart to add a price point too. Excellent idea!